Custome made For SockBroker.com with American yarn we provided manufactured in Peru according to Old School 1970s standars. 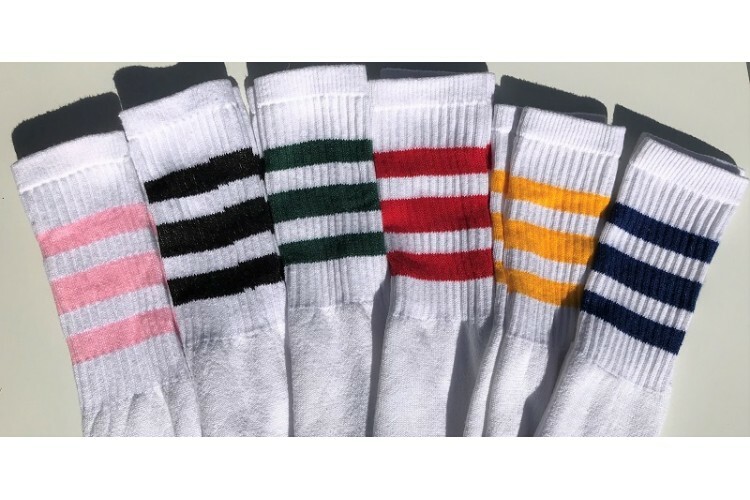 Authentic Old school tube socks should be 25 inch long to fit properly and not slide down and should be at least 85% cotton. 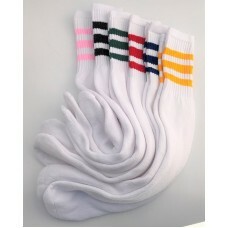 Our socks weigh over 3lbs per dozen that is over 1 lb more than the competition. 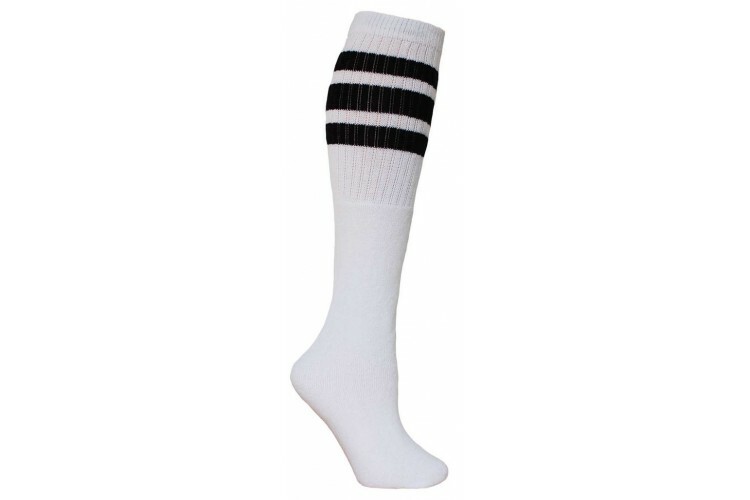 Much better quality than even our own 23 inch tube socks these are just the best tube socks around. 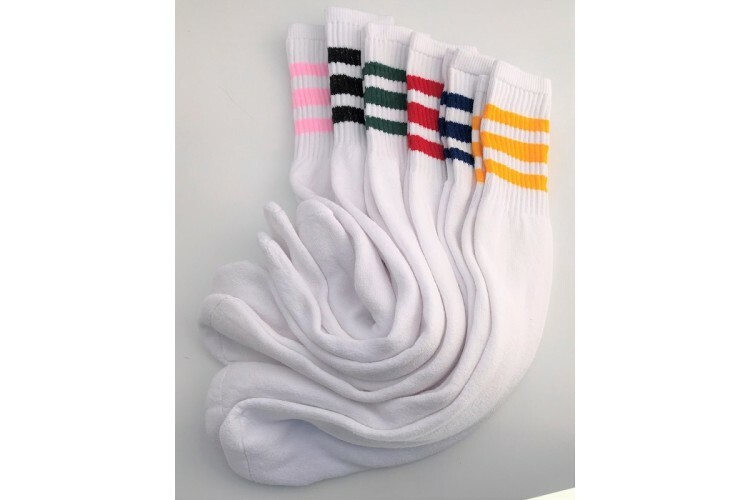 Almost all the tube socks you see on the market sell for less are 3 inch shorter and are made with recycled cotton yarn in pakistan or india with a lot less cotton they feel flat unlike our fluffy cushioned socks.